Ja auch ich bin auf den Trend Zug aufgesprungen. Eigentlich versuche ich das immer bewusst zu vermeiden aber dieses Mal hat es mich voll erwischt. Aktuell kommt man aber auch nicht um das Thema Bomberjacken drum herum, egal wo man hin schaut sieht man Variationen dieser sportlichen Jacke. Vor einiger Zeit gab es bereits einen kleinen Shopping Guide zu Bomberjacken und ich bin immer noch genau so begeistert wie vor ein paar Wochen. 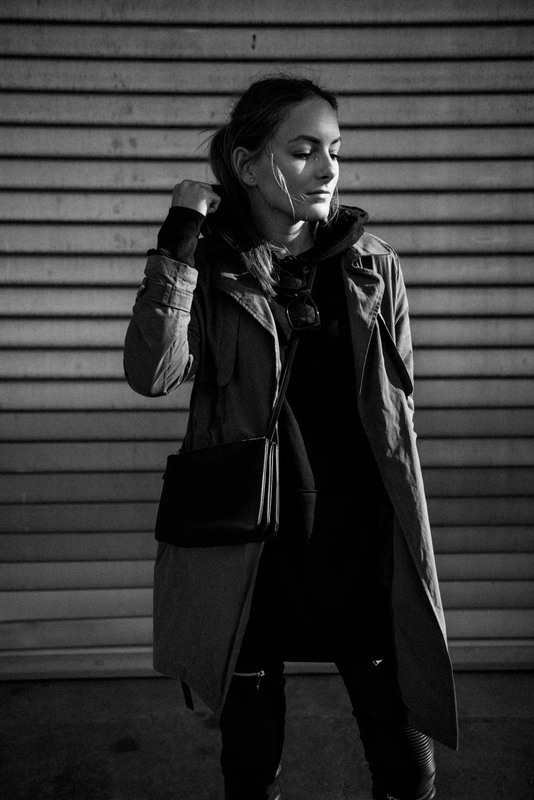 Meine schwarze Bomberjacke von Topshop trage ich wirklich sehr oft da ich sie nicht nur sehr praktisch finde sondern da sie auch zu allem passt. Dieses Mal ist sie kombiniert mit einigen Klassikern die ich regelmäßig trage, wie z.B. der Kaschmir Pullover, mein Acne Schal oder meine schwarzen Converse. Diese sind glaube ich das älteste Paar Schuhe in meinem Schrank, ich habe sie schon fast 6 Jahren und damals für 30$ im Sale in den USA gekauft. Was meint ihr? Yes I jumped on the trend-bandwagon. Actually I always try to avoid that but this time I'm totally caught up. Currently you don't get around the bomber jacket thing, wherever you look at you can see so many variations of that sporty jacket. Some time I ago I alspo posted a little shopping guide for bomber jackets and I'm still as thrilled as when I wrote that post. I'm wearing my black bomber jacket from Topshop quite often these days since it's not just very functional but it also goes with almost everything. This time I combined it with some classics I wear a lot, for example the cashmere knit, my Acne scarf or the black Converse. I think these are the oldest pair of shoes I have in my closet. They are almost 6 years old and I bought them back in the US during summer sale for $30. What do you think? Your service provider should be willing to pay for that. Sometimes finding the right company to employ is only a case of comparison. Look around at exactly what there is to provide and make choices accordingly.